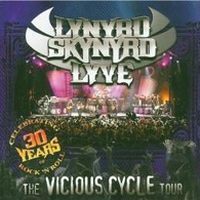 The last album of the Southern rock legend Lynyrd Skynyrd was Vicious Circle and was released in 2003. Time for a new studio album! They kick off God & Guns with the first single Still Unbroken. The opener - as well as some other songs - is co-written by Hughie Thomasson who passed away. The opener is emotional which is no surprise coz the track was written after the death of original bassist Leon Wilkeson in 2001. Still Unbroken should please Southern rock fans. My first impression of Simple Life... It made me think of Great White, at least for a moment... A good rock tune. After some rockers they offer a ballad called Unwrite That Song, a symphonic tune, but somehow it can't touch me... I don't really know what the song lacks, but there is something missing to make it special. Rob Zombie is joining them for Floyd, a heavy tune, but not as strong as the opener. With That Ain't My America they should catch the interest of their American fans lyrically. Others might find the lyrics too patriotic... Musically this track can't surprise you... Quite average. The rocker Comin' Back For More is bringing back some heaviness and I think live this one really rocks. 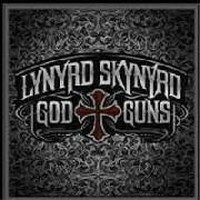 God & Guns is a laid-back tune, but then they rock! The first half was a bit boring, but when they speed up and rock. they can convince you. Somehow the title track represents the album... With the slow rocker Gifted Hands they close this chapter, an emotional tune - and that's when they are best. The longer it takes to deliver the follow-up album the higher the expectations get - and that might be a problem. Long-time fans of Skynyrd might expect too much and will be disappointed. But if you just look for some new Southern rock songs, then you might enjoy it much more... There are some cool rockers, but unfortunately they can't keep the level of songs like Still Unbroken and Comin' Back For More - and so it's just an average album with highs and lows. If you have almost every album of Lynyrd Skynyrd then you might discover that you don't need this one, but if you like some Southern rock once in awhile and look for something new, then you might find this one very enjoyable. I think that it really depends on your point of view, if you'll like it or not. The Southern rockers are around for 3 decades now and in 2003 they toured Europe and the US, 30 Years In Rock'n'Roll  the tour was titled. And they recorded this for a live album and DVD – the DVD is already released – and so the band kicks off with That's How I Like It. The perfect track to describe their feeling, coz if they wouldn't like it, they wouldn't be still around. As you can see below they combined classics of Southern Rock and new songs like Red, White & Blue. The album was recorded in Tennesse and between the songs singer Johnny van Zandt is talking to the audience and thanked them for their support through the years. Very emotional is Simple Man, a simple song which is touching, intense and shows why they are around for such a long time. "God bless our brother Leon and the simple man!" van Zandt stated at the end of the song. This is real. This is honest. A must buy for fans of this legendary band and of Southern Rock! Check out: Simple Man, That Smell, Double Trouble, coz there is no need to check out their hymn Sweet Home Alabama which everybody knows.